Russian Prime Minister Dmitry Medvedev said that the Cultural and Spiritual Russian Orthodox Center in Paris will open its doors to visitors in October and there will be a modern platform for concerts, film screenings and exhibitions. 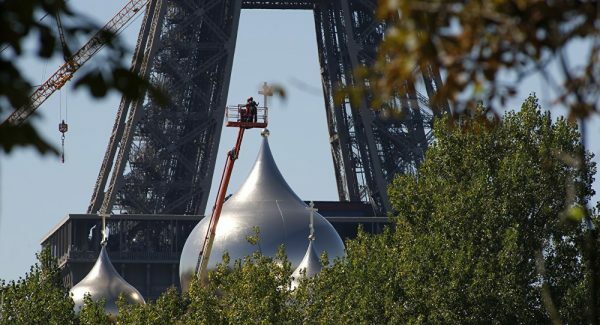 MOSCOW (Sputnik) — The Cultural and Spiritual Russian Orthodox Center in Paris will be opened in October, Russian Prime Minister Dmitry Medvedev said Monday. “The construction began in July 2014 and in October this year it will open its doors to visitors. There will be a modern platform for concerts, film screenings and exhibitions. The center should host an educational environment with training programs in Russian. Of course, the Cathedral of the Holy Trinity will be the jewel of this center,” Medvedev said at the forum organized by Russkiy Mir Foundation that opened in Moscow on Sunday. The center is located at the intersection of Quai Branly and Rapp Avenue. It will host an Orthodox church, a Russian-French school, and an exhibition hall.